Repairs, cleanup and reconstruction services. Work with a leading disaster restoration contractor, licensed in the State of Virgina for any type of fire damage disaster. From cleaning smoke caused by a grease fire in your kitchen, to large commercial property fires, our team of certified techs can tackle any size project, big or small! While most do not consider what they will do in the event their home or business is impacted by a fire, the fact remains that it can happen to anybody at the most unexpected times. When it does occur, the owner is often confused and not sure who to turn to. 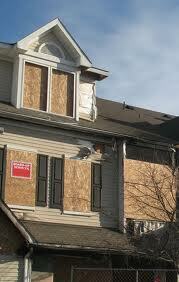 Procuring the services of a fire damage restoration company is the best first step to make. 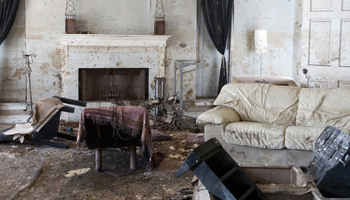 damage restoration professionals are able to cease further damage and begin cleanup to ensure the best possibility of returning the home or business and its contents back to their original condition. These companies have at their disposal innovative cleaning equipment being implemented by an experienced staff. The professional who arrives at the scene has the knowledge necessary to begin taking an immediate inventory of the damage sustained to devise an adequate plan of action. They will take into consideration various factors such as the temperatures reached, ionization of the particles, what materials burned and other aspects that few would think to consider. Many do not realize it, but there are different types of smoke that can indicate the most effective methods in which to ensure maximum restoration. Fire damage professionals will be able to make the determination as to whether the smoke is wet, meaning it came from a low heat fire source or dry, a sign that the fire was one of intense heat and strength. Depending on the level of damage, there are various cleaning methods that could further harm certain items, and making the determination of fire type based on proper smoke analysis can help the restoration professionals determine the most effective means of cleaning. Those who choose to wait before calling a fire damage restoration professional risks further damage. Some damage has a tendency to continue to spread, and the longer one waits, the more it will cost them later. When a fire occurs, the home or business owner is encouraged to stay calm, take an inventory of their items, ventilate the area and turn on the heating or air conditioning unit. When the professionals arrive, they will immediately begin cleaning carpets, upholstery, hardware, appliances and other items. It is crucial for the owner not to attempt to clean these items on their own while they wait as their inexperience can cause further damage.